To Register: Buy online or at the studio on your next visit. 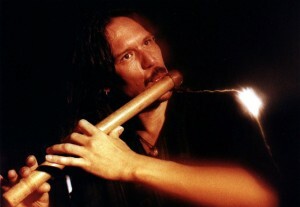 Through the use of Singing Bowls, leading with Shakuhachi (a Japanese Zen wind instruments), percussion instruments and Chants from Traditions such as Bhuddism and Candomble, Pepe Danza takes his audience on a profound experience of discovery, peacefulness, regeneration and spiritual harmony. Space is limited to purchase your ticket to this amazing journey as soon as you are able.